by Susan M. Orsillo, PhD. and Lizabeth Roemer, PhD. What prevents people from making meaningful changes and achieving their dreams? 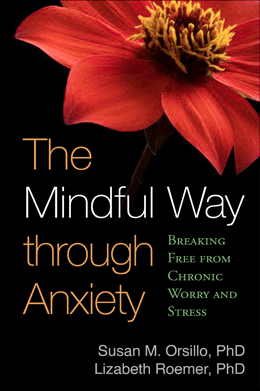 For many, anxiety, worry, or fear are stumbling blocks that can be extraordinarily difficult to overcome. The problem is, you can’t just “get over” anxiety. In fact, the very things most people do to try to feel better—avoiding feared situations, pushing worry out of mind—only make the problem worse. Drawing on two decades of research and clinical experience, we have developed a powerful new alternative that can help you break free of anxiety by fundamentally changing how you relate to it. 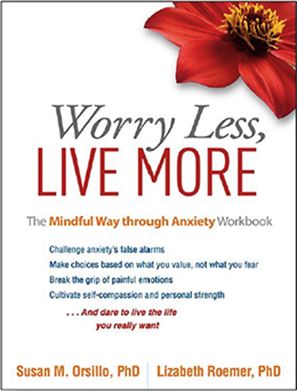 Learn step-by-step strategies for gaining awareness of anxious feelings without letting them escalate; loosening the grip of worry and fear; and achieving a new level of emotional and physical well-being. Learn more about how you can use mindfulness and the other strategies described in our books to find your personalized path toward living life to the fullest and daring to live the life you want.